For decades, Americans have grown increasingly frustrated by what seems either as incompetence or as ideological stubbornness by both Presidents and Congress. After years of being ignored about lost jobs and lower pay, voter anger has peaked. Americans have finally risen up to elect either Trump or Sanders as President. We see both men as incorruptible supporters of the 99%. Both have stood against international trade deals to bring back good paying jobs to America. Both have touted severe prescriptions to help America. Trump supports reversing illegal immigration to open more jobs for Americans. He’s offered a deep tax cut for billionaires to avoid a political war within the GOP, although to no avail. Sanders instead has declared a political revolution, vowing to fix America’s corrupt voting process, and to institute major transfers of wealth from America’s billionaires to the underclasses. Shocked by America’s uprising, establishment politicians of both the Republican and Democrat parties have declared all out war to defeat Trump and Sanders. Party leaders have touted multiple reasons why they want to destroy them. But to be clear, the unspoken, REAL reason for such a blatant power grab is that America’s billionaires want their politicians to keep international trade deals in place, and to not give an inch of political power back to the middle class. America’s billionaires profited trillions of dollars from military expansion that eased the transfer of America’s factories to other countries, and from trade deals that allowed bringing cheap goods back into the United States, both displacing American workers. Even if they may have their own candidate preferences, America’s billionaires will support any politician that continues to support their “free trade” money system. Some GOP leaders have even blatantly stated that they will support Clinton over Trump, exposing billionaire objectives. GOP and Democrat politicians will continue supporting their billionaire campaign contributors in order to maintain their jobs, parties, power and wealth. They, therefore, will do everything they must to defeat Trump and Sanders. If that means spending hundreds of millions of dollars in ads to destroy Trump and Sanders, so be it. If it means trashing up-and-coming establishment star candidates like Rubio to try to stamp out Trump, then trash Rubio they must. If it means manipulating delegate rules to oust Trump through a contested, rigged election, and stacking Hillary’s campaign with unelected super delegates to ensure Sanders is defeated, exposes both parties as anti-democratic, then the parties must unfortunately suffer collateral damage. If it means organizing paid demonstrators to disrupt rallies and to create fear of what a chaotic, middle class revolution might do to our economy, then organizing extremists must be done. If it means even mobilizing party members to vote for the other party’s Presidential candidate, then the party establishment will hold their noses and mobilize their establishment members, if they can. And God forbid, if it means, as some have suggested, threatening physical harm to candidates or their families if all else fails, some might be so desperate to contemplate such a despicable solution. 2016 has been a naked display of anti-democratic thuggery by party establishments to stop voter insurrection. But Trump and Sanders are fighting back, David against Goliath. Trump is beating the drums of democracy against his own GOP as he continues to win a plurality of delegates. Bernie Sanders is accusing Hillary of being paid off by her billionaires, and continues his winning streak in the traditional Democrat states, proving him to be the clear, best choice for his party. As both parties and insurgents push forward, this revolution may not end without violent political upheaval. Most Americans know that either Trump or Sanders must be elected to stop decades of billionaire abusive profiteering and trampling of the middle class. So a coming voter backlash is building to a fever pitch. I personally believe Trump’s policies are best to move America forward. But if either he or Bernie is defeated for their party’s nomination, they must still go forward as independents to represent the will of the American people. Then, America will make its last stand as the House of Representatives, a body meant to represent the people, votes in the new President. The Constitution will hold firm. Does Cap and Trade Signal China’s Rise as the World’s New Super Power? For the past 40 years, China’s leadership has systematically implemented a 50-year strategy to overtake America as the world’s leading economic and political power. In the history of the world, no country has ever accomplished this feat without a major war. Yet China brilliantly planned to dethrone America without bloodshed by disabling America’s ability to conduct war well before our politicians would ever think to drum up a war frenzy. China strategized that she could accomplish a first ever bloodless transition of superpowers through rapid economic growth, overbuilding industrial infrastructure, cheapening the dollar with massive American debt, building a gold backed Yuan world reserve currency, strengthening her military to protect critical trade routes, co-opting America’s elite to support China over America, and gutting America’s industrial capacity to support a sustained world war. A critical assumption of China’s strategy was that America’s international investors and financial institutions would scurry to help her grow, given the chance. America’s elites did not disappoint China’s leadership. With promises of riches, America’s capital investors feverishly rushed in to help China achieve most of her goals in just four short decades. While both China’s and America’s leaders wanted China’s economy to grow dramatically, the motivations of each country’s leaders were strikingly different. China’s leadership grew rich while building a massive economic and technological infrastructure to support her people’s future. On the other hand, America’s leadership grew rich by stripping our citizens’ future to fuel their own personal wealth. China simply had to offer a gold rush to America’s investors, and they in return blindly transferred America’s wealth for China to overtake the United States. Knowing that the world could only extract a finite amount of debt from western economies to support China’s growth and that the cash flow from West to East would ultimately create an unsustainable debt bubble, China rapidly overbuilt manufacturing capacity in anticipation of slowing of investments from America and others. Now, China sits atop a mountain of physical assets while the rest of the developed world sits atop a junk pile of debt. The West is now in the precarious position of either propping up China, or of sending the world into depression. If the World’s debt bubble bursts, much of America’s investors’ wealth will evaporate. China will also default on her debt, but tens of thousands of new factories will remain in China. China, will recover from an unprecedented depression with infrastructure, skills, trade relations, and gold to restart a new world economy. Given America’s amassed debt and gutted manufacturing capacity over the past 40 years, we cannot withstand a long, deep depression. Our central bank has no alternative but to assist China in keeping the bubble afloat. But, our citizenry must adopt a long term strategy to reverse what has left us in this dire predicament. With a massive shift in power that the world unwittingly gave China as a backdrop to the issue of global warming, China’s President, Xi Jinping, has now come to America offering his support for pollution cap and trade. 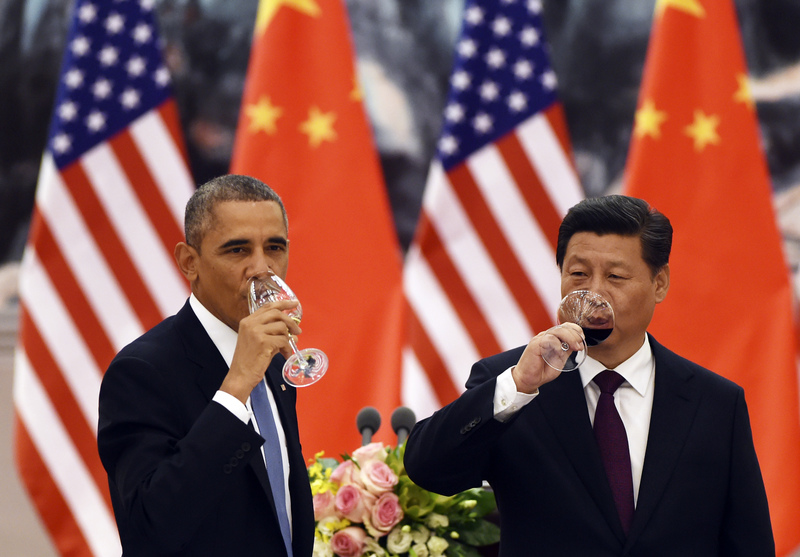 Until now, neither America nor China has been willing to sacrifice economic growth to reduce carbon emissions. Why then is China now willing to offer pollution cap and trade? At this stage in the progress of her 50-year strategy, China can now manipulate cap and trade to further her bloodless revolution. Americans believe that a small consolation of our slowed economy from tens of thousands of factories being transferred from America to China is that pollution was also transferred from America to China. Our air and water is cleaner as a result. Yet, in a cap and trade environment, this transfer of pollution now gives China “pollution assets” to either expand her own economy or to sell back to America. Cap and trade would force America to either trade existing American pollution for new pollution or to buy pollution from countries like China. Cap and trade thus could give China the ability to manipulate America’s industrial collapse even more. With a massive worldwide debt bubble already in place, cap and trade would give China yet another powerful lever to either rise through the bubble or to send the world crashing into depression, to then rise through the ashes of world economic chaos as the world’s next superpower. Adding pollution cap and trade to the mix would give China an untenable political and economic lever to control America’s destiny. America’s dollar is so diminished, our central banking tools so depleted, our industries so gutted, our trade relations so reduced, our nation so indebted, that we are almost toothless to counter China’s 50-year strategy. If we do not coalesce around a focused strategy to counter China, our Constitutional Republic could be endangered. Xi Jinping’s visit should be a wake-up call. America must not let Cap and Trade have a place in our economy until our economy, national security, and future is placed first in the hearts and minds of America’s investors and politicians. In the beginning, the world was created. Whether we believe it was created by an infinite cosmos or by God affects our belief about why man became, but it does not change much my story about what has become of man. Without examining its deeper impact on our relationship with God, let’s briefly examine our place in nature. In the beginnings of primeval life on Earth, organisms learned to destroy other living creatures to survive. Yet, they also learned that survival required living in harmony with other species, including those they destroyed. Into this environment of destruction and harmony, man came to be on our planet. We were born with the same drive to survive as all other creatures. 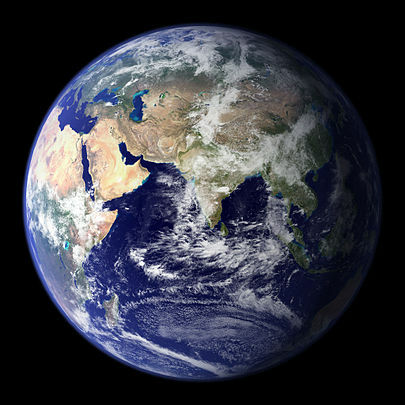 Because of Earth’s unique orbit around our sun and the positioning of our tiny planet among the stars, whether perfectly hung here in space by God or not, Earth’s nature impacts man’s survival. One natural law affecting man’s survival is selfish demise. Early forms of life on Earth that selfishly took more than their share of Earth’s resources died out. Those creatures that adapted to a balance between destruction and harmony lived on and mutated into today’s community of living things. Take man’s nemeses, infectious diseases, for instance. Those virulent, early organisms that quickly killed their human hosts died out along with their humans, not having a chance to mutate. Viruses and bacteria that let man chronically adapt to disease, however, have lived on in the world for millennia. So our earthly community of organisms has been kept in balance by rules of the universe, Godly or not. Destruction has been tolerated to let species survive. The law of selfish demise has let one species in particular, mankind, benefit even as others are completely destroyed. Scientists estimate that between one and twenty species become extinct every day. Yet, while we believe that we are benefiting, this law of selfish demise also applies to man. If man acts too selfishly, like all other forms of extinct life, Earth will become uninhabitable for our species. As it has been for the millions of extinct life forms that once inhabited Earth, the planet will live on, perhaps with higher temperatures or lower oxygen, perhaps with an overgrowth of pathogens that would otherwise be plagues to man, but live on it will. Mankind believes that we are the greatest beneficiary of Earth’s position amongst the stars. We, above all other creatures, have been given the capacity to bend Earth’s resources to our desires. But if thousands of creatures become extinct each year, perhaps the lesson for man is that we must not exceed the law of selfish demise if we are to survive. We have subdued most of the living things that would eat our flesh. Thus far, we still have most of the polar ice that keeps Earth temperate. We still keep many microorganisms in check that continue to mutate to challenge our superiority. Perhaps our greatest immediate threat to mankind remains ourselves. We are a unique species in that we remain intent on killing our own. If the law of selfish demise also applies to man, then our survival requires that we maintain a balance between killing other humans and living in harmony with them. We continue to improve our material lot by destroying other men, even if this destruction ultimately harms mankind. In North America, our Native American reservations and inner cities are remnants of this selfish imbalance. If we can destroy so many of our own species for our selfish advancement and look on as thousands of other species disappear from the Earth, is it conceivable that we might be closer to the tipping point than we think? It might be time for us to lean more toward harmony and less toward destruction of other men. Perhaps, we might even have to lean more toward harmony and care more for other species that do not so clearly meet our needs for survival. At some point, the Earth might even require man to review our current beliefs about how to live in harmony on our planet. There are deeper meanings to the patterns of evolvement and extinction taking shape. We need to evolve our understanding more quickly than the species that are disappearing from their harmonious enjoyment of planet Earth. I spent many days as a boy climbing apple trees at the end of summer, reaching for those apples closest to the sun, having learned they were the most sweet in the tree. I fondly remember a very special apple tree that I climbed one summer. Every apple in it had ripened to perfection. I got lost in an evening of delight in that tree, not wanting the moment to end. I had never tasted apples as magical. Yet, night came and there was nothing I could do to change its mind. Satisfied beyond contentment, I finally climbed down to finish my journey back home. Even though I was a young boy, I still knew how special that tree was and meant to find my way back to it sooner. But, I let a week go by before returning. In those few days of neglect, my tree had lost its luster. Having passed its peak, some of its apples had even fallen to the ground to rot. My most perfect tree had decided without my blessing that its fruit should wither, and there was nothing I could do to change its mind. I was as disappointed that day as any young boy could be, but was still naively confident that I would find my perfect tree again. Decades later, I am wiser, as no such tree has ever again fulfilled my boyhood hopes. Fate and whimsy choose their own path, and there is nothing I can do to change their mind. 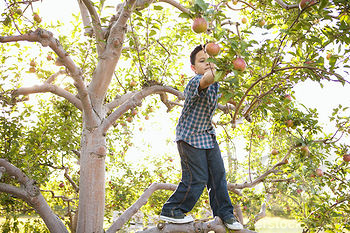 I am grateful now that as I climbed down from that apple tree, I had no idea that it would endure as my very favorite. How tragic it would have been for such a young boy to have found perfection, and to have been forced by nightfall to understand how moments pass, never to be repeated. Yet, that tree taught me some of life’s most precious secrets. I now know that perfect joy exists. I know how innocently we first meet it, and how rare a gift it really is. I have learned that seasons march on, and that I should not waste them waiting for my perfect tree to find me again, but that I should seek contentment in every season. Seasons come, and there is nothing I can do to change their mind, so better that I change my own. Time’s steadfastness compels wisdom that we can be content with memory of such a day. Knowing that we cannot change time’s mind, rather than wasting too much sorrow over leaving our perfect tree, time teaches us to go on living. High tide is reached and then waters recede. There is nothing we can do to change their mind, but oh the peace in the rhythm we find. In capitalist societies, we typically are responsible for the choices we make. Some make bad life choices. But when a massive segment of society continues to make poor life choices, do we not have to question whether or not it is the individual or the circumstances in which they were placed? 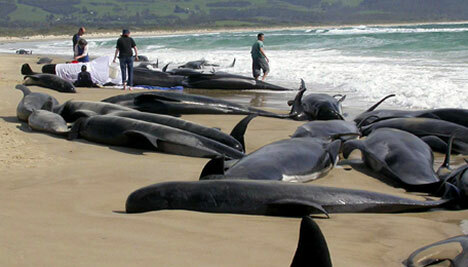 For instance, what causes a pod of whales to beach themselves? Are these bad life choices or are they the best choices given the circumstances? If ship sonar signals these whales to turn to shallow waters where they become beached, is it the whales that are too be blamed or is it the ship? And what of baby sea turtles that turn away from the sea, thinking that house lights are the moon, and die of exhaustion? Given societies signals, are the choices that young, inner city blacks make that end in dropping out of school, turning to gangs, making cash in illegal activities, failing to achieve job skills and living off the system poor choices? If they are, why does such a high percentage of young black make these same choices generation after generation, city after city across America? I contend that the system provides erroneous sonar, false lights to follow if you will. And our capitalist system works whether the trade is legal or not. Without a legit signal of a living wage to swim toward, our inner city youth strand themselves on the beach. It is this false signal that is the basis of institutional racism that still persists in our country. Perhaps it is through no fault of any individual. Who is not aware of the probabilities of high crime rates involving black youth. It would be hard not to react to such probabilities and no one can be blamed for self preservation. Yet, these signals create pathways for individuals to interact that in themselves can create institutional racism. It is these false signals which must be broken through conscious effort if we are to reduce its effect on our inner cities. 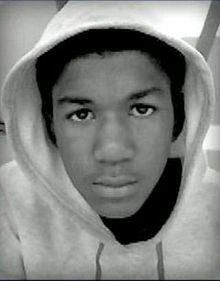 Yesterday, I spent the day deep within a rightwing chat group that was in the midst of discussing the Trayvon Martin case. Trayvon’s death has created vitriol on both sides of the political divide and once again displays America’s ongoing racial tensions for the entire world. To get a pulse on the extreme right’s 2013 views regarding America’s racism, I engaged the group. Not wanting sugar coated, political correctness, I stirred the hornet’s nest a bit knowing that angry bees usually sting with conviction. The raw opinions expressed were startling but real. No more startling than those on the left, the right extreme of America sees racism, however, in a vastly different light. Before America can come together to solve our nation’s enduring problems of race, we must first understand that a huge gap does exist, and more importantly, why it exists. Only then can we resolve our differences. As you will see by the comments, some on the right deny that racism even exists. And when agreeing that it does exist, some say it doesn’t rise to the level of many other problems facing America. I contend, however, that racism is a major cause of many of our other critical issues and that none of these can be solved without reducing the impacts of racism. Not only does racism tear down the dignity of its victims, but racism also harms its perpetrators. It retards everyone’s prosperity, slows our economy, forfeits jobs, destroys communities, and steals hope and happiness from millions of Americans. Reducing racism’s impact should be is a top priority that demands the attention of our generation. If racism actually does so much harm, why then do so many think as this group I visited? And if their beliefs are so deeply ingrained, can progress really be made without trying to understand their views? With that question in mind, I share the thoughts expressed yesterday from this right-wing group. The comments have been altered to protect the privacy of the commenters. I caution that you may be dismayed by these comments, yet they are deeply held beliefs of a sizable segment of America. DOES RACISM EXIST IN AMERICA? WHAT PROBLEMS DOES RACISM CAUSE? WHAT SHOULD BE DONE TO SOLVE RACISM? “Whites do not make blacks behave badly. Blacks must reduce their crime, illegitimate births, dependence on welfare, offensive behaviors and speech, and their antipathy to education. They must get serious about assimilating into mainstream American culture. There you have it. At one extreme, American whites are frustrated by the existence of racism and deny responsibility for it. They believe that America has done more than any other country to make up for our sins of the past and that blacks must now do for themselves to eradicate irresponsible behavior and join the rest of society. At the end of the Civil War, Black leaders asked that Lincoln provide freedmen forty acres of farmable land and a mule. They didn’t ask to be fed and clothed and kept in housing without contributing to society. They were asking to be given a hand up to economic freedom with the ability to work their land and to provide for their families through their own labors. Forty acres and a mule represented a living wage at the end of the Civil War. It was a path to America’s recovery. America has done much to recover from the sins of our past. The impacts of racism are not nearly as great for many as they were at the end of the Civil War. Yet, in all that has been accomplished in past 145 years, the one thing that was asked of Lincoln in 1864 has never been accomplished. Achieving the equivalent of 40 acres and a mule, a living wage by today’s standard, has yet to be accomplished for millions of blacks in America’s inner cities. What is needed is a level start and a living wage. Until we pair economic freedom with political freedom, America will not have reached closure with our past. The comments above suggest that one segment of our society believes we have more than surpassed that point. Their visceral responses suggest that much more understanding must be sought between America’s extremes. Will Knowledge Explosion Lead to Peace…or War? Some ask why prognosticators predict war over peace, as if it is blindly an easier and more provocative path to predict, rather than the harder path to achieve of world peace. The answer lies in the historical pattern of power transitions between nations. While the world superpower period that we are in is unprecedented, regional superpower, empire, and hegemonic patterns are fairly well defined. As such, we are entering what historically has been the final phase of a hegemony, when a competing power grows powerful enough to wage war. Hegemonies typically last for 3 to 5 generations. We are in the last generations historically of our hegemony. China already has way more people, acceptable manufacturing capacity, burgeoning technological ability, growing military strength, and a breadth of neocolonial trading relationships. The pattern for emerging war within a generation is concentrating. Historically, when a nation emerges to wield similar capacities as the World’s dominant nation, and is not happy with the world’s economic and political systems that are designed to benefit the dominant nation, it sets the stage for war. The emerging nation attempts to bend the economic system their way, is met with opposing force of the dominant nation, and conflict erupts. China is winning ground on all fronts. So, examining the historical patterns, the phase of our hegemony and China’s transition, and the pattern of conflict that has occurred consistently over the past millennium, some predict military conflict in the future. A couple of trends oppose a classical war transition. One is the size of hegemonies involved. The U.S., being the most powerful hegemony that has ever existed, then requires a competitor to extend their capacity for war to unprecedented levels. Yet, China has been highly successful in gutting our military manufacturing capacity, which actually creates a more unstable environment that could lead to war simply because it equalizes power more quickly. Another has been the resolve by which America pursues protection of hegemonic resources such as oil in the Middle East. Yet, our ten year wars have drawn us into the same economic drain that took down the Soviet Union. China, on the other hand, has been successful in creating new trading arrangements that circumvent the dollar as oil trading currency. These trends ultimately will prove the axiom of the taller you are the harder you fall, for as the greatest hegemony in history, America will fall the farthest if knocked down from our pedestal. One hopeful trend that I discussed a few posts earlier is that the world is on the vertical slope of the information age, and gains in knowledge are progressing at light speed. It was hopeful that that Arab Spring was born from social media. The world’s citizens are connecting through the internet and are beginning to break down nationalist prejudices. There is the potential that people throughout the world will choose peace through knowledge. Yet, history has shown that increased knowledge leads to military superiority, which leads to a higher probability of war if gained by the opposing force of the hegemony. This leads us back to why both China and the United States are attempting to fly up the vertical path of the world’s knowledge explosion to gain the upper hand. 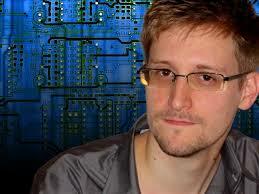 Hence, we have seen, thanks to folks like Snowden, the massive buildup of knowledge processing capacity by the NSA. If mankind will make the leap toward removing worldwide bigoted barriers through an explosion of knowledge sharing, then Snowden will have earned a historical place as a true hero of world civilization. If, however, mankind follows our consistent historical pattern of technical superiority leading to armed conflict, then Snowden will be recorded by world history to have been simply another crack in the dyke of America’s hegemony giving way to war. Who here remembers the story about Mike Mulligan and his steam shovel? Detroit’s problem is like Mike’s. Mike’s steam shovel, Mary Anne, wasn’t as nifty as new diesel shovels, just like land-locked Detroit auto plants were not as nifty as new, single story automated ones. But Mike vowed to work hard building a basement hole for city hall, so he and Mary Anne got the job. They dug a great big hole but with no way to get out of it. Detroit dug a big hole with no way out too! Everything Detroit did to help herself didn’t slow the hole getting deeper, and her city hall was left with a dilapidated steam shovel in its basement. Detroit’s impossible hole is that it needs good paying jobs for its illiterate citizens….period. It’s that simple and that difficult. As auto jobs left, whites left with them. Blacks could not qualify for federal housing loans because of federally supported racism and could not enter communities built up around the new plants because of restrictive covenants. So the low level jobs that the auto manufacturers allowed them to have went away. The diesel shovel jobs that competed with Mary Anne steam shovel, those jobs that illiterates in the inner city of Detroit, 47% of her citizens by some accounts, could qualify for, they are growing at 10% per year in Eastern countries but paying well less than the mandated minimum wage in Detroit. America created an economic infrastructure that produced generations of illiterate Detroiters. Our failure to face institutional racism kept our most oppressed of citizens corralled in the city. Our elites took away jobs that illiterates could have worked. Now, our latest generation of Detroiters sit in a basement hole with no chance at earning a living wage as an alternative to crime and dysfunctional communities. 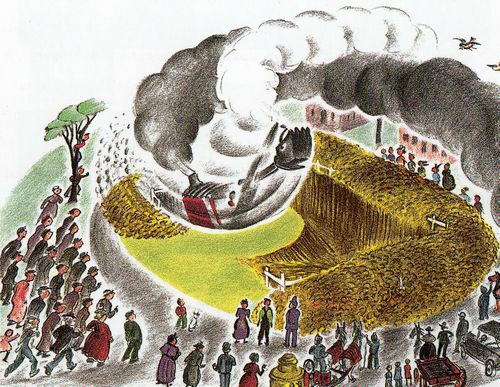 In the story, “Mike Mulligan and His Steam Shovel”, because he was stuck in the hole, he created a living wage in the hole by converting his steam shovel into the new city hall furnace, making a living wage to provide the city hall with heat. America, having created this impossible hole, must now create living wages for our tens of thousands of illiterate unemployed, and we must vow to create a future economic infrastructure that does not dig such impossible holes. Political intransigence must now make way for a willingness to fix the problem. China was ready to take back its world leadership in 1978 after “150 years of shame” and America’s elite were all too willing to sell out our posterity to help them. Detroit’s bankruptcy was foretold by the decimating our middle class to fund China’s emergence. Yet, just as was seen in the Arab Spring, it is the fringes of society that break first. While the whole of our middle class is having its life slowly drained, those poor souls on the outer edges, such as our citizens in the inner city of Detroit, are the ones whose life supply of economic blood is the thinnest. They die first. Detroit is America’s problem to fix. It’s time for a fairy tale, so pull up a chair and I’ll tell ye me yarn… Once upon a time there existed two great tribes in all the world. They were sworn enemies because of generations of bigotry and fear. They built their civilizations in lands far, far away from one another. Yet many wars occurred between them because of their fears and greed. If each had desired to ensure that both became prosperous, then neither would have gone to war with the other and neither would have needed the protection of warriors. But the world did not progress nor will it ever much, for that is the nature of man. Each tribe therefore kept great armies of warriors and made their greatest warriors king. Each king created coins from shiny metals to aid his people in trade and commerce. Each king also divvied up his lands according to loyalties and kinsmanship. Some tribesmen received vast estates, but half of the tribesmen received no land at all. Upon their vast lands, the most favored of tribesmen aspired to expand commerce and to increase their lands further. With land as collateral, vast landowners were given coins by the king to spur the work of others on their lands. Whenever a tribesman was deemed ready and able to provide future labor, he was provided coins through debt contract to purchase goods from other tribesmen. Metals bound the work of each tribesman to the benefit of the vast landowners, to the king, and to his kingdom. The king and vast landowners expected each able tribesman to do all manners of work for the tribe. Those that contributed most received the most coins and could therefore live most comfortably within the tribe. However, provisions were made so that all tribesmen who worked diligently could eat and have shelter, for this was the other side of the coin of man’s nature. For those tribesmen that could not work enough to feed themselves, other tribesmen were commanded by a vote of all tribesmen to share their wealth so that each might eat. 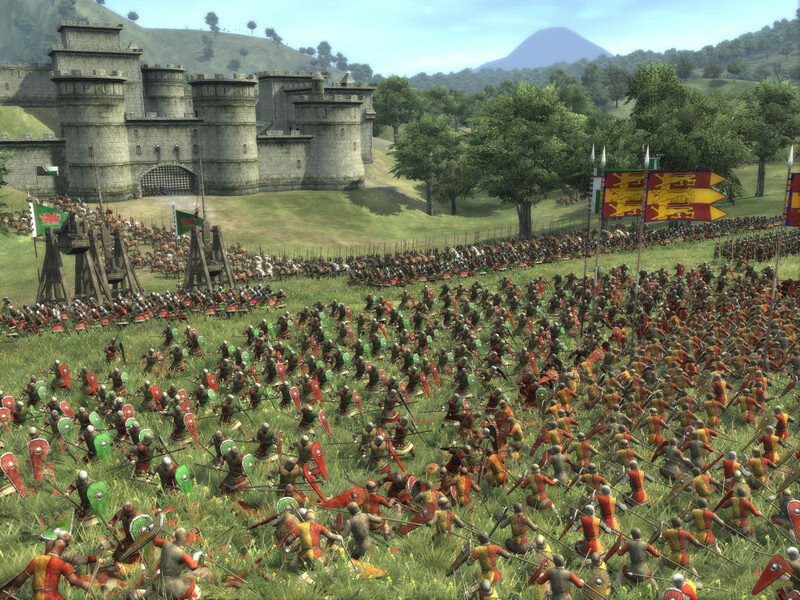 Through this vote, the kings endeared their subjects against insurrection, for all men were better off in their kingdoms than in facing the world alone. This is where the similarities between the kingdoms stopped. For one kingdom became very prosperous, well before the other. One kingdom was wise to invest labor in schools, roads, and laws to govern commerce. Over time, because of its investment, some ingenious tribesmen were able to capitalize the tribe’s investment through their own ingenuity to create much better means of commerce, and they became wealthy in coins. They accumulated many more coins than they could use, for even when they lavished coins to obtain the finest huts and goods, they still had stockpiles of coins. They found with so many coins they did not need a king. So they set about to use their excess coins to grow great armies of warriors to break free of the king, to form an empire, and to colonize the other tribe, for this was still the nature of man. They then forced the other tribe to take less gold for each hour worked and to accept less goods in trade. They forced the other tribe to dig for raw materials, while keeping the skilled trades to themselves, claiming these labors to be worthy of more coins. After many generations, a calm came over the lands of the two tribes, and many forget the true nature of man, that of bigotry and fear, lust for power and enslavement of others. Assuming the world had evolved to a peaceful existence, the vast landowners and ingenious men of commerce found that they could employ the colonized tribe for many less coins. So, instead of using these coins to employ their own tribesmen, they gave fewer coins to the other tribe in exchange for labor, and slowly the colony began to prosper. But in transferring coins to the colony, the vast landowners and ingenious men of commerce idled their own tribesmen. Skills were lost, assets were obsoleted, and the empire slowly withered. Little by little, more and more tribesmen could not earn enough coins to feed their families. Fear and mistrust overtook the once great civilization. The vast landowners and ingenious men of commerce had made great profits from the colonized people, but in so doing, they impoverished their own tribe. Their choices stressed the coffers of taxation. Empty coffers brought into question the very nature of the empire’s commitment to its people. Too many needed fed. Vast landowners forgot that they had been given their land by virtue of their kinsmanship. Ingenious men of commerce forgot that they were able to capitalize their ingenuity on the infrastructure provided by the investments of others. And all of the empire’s elite forgot that the darkest nature of man can ultimately only be suppressed by warriors. Over time, the empire withered and the colony continued to prosper until it was more powerful than the empire. The colony then refused to accept less coins for its labor. And it refused to help fill the coffers of the empire that were now barren. After a generation had passed, the colony became the empire and the empire turned colony. Now a colony, its people were given less coins for their labor by the colony turned empire. Where once vast landowners and men of ingenuity had grown their stockpiles of coins, they now found in a mere few generations more that their stockpiles of coins were gone. They had foolishly squandered their inheritance. They no longer could afford their warriors and accepted their fate in watching the nature of man rise against them. This blog was started to share a job voucher idea for all able bodied Americans to have an opportunity to work. I will share other related thoughts and appreciate your comments as well as your ideas to employ America now.